Jim Campbell fights fires by day, but he spends his free time cultivating fiery flavors. 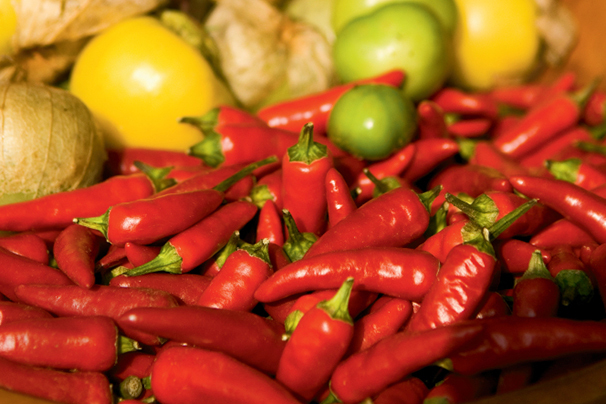 The Indianapolis fireman has been growing chili peppers as long as he can remember. Later in life, he turned his passion into a business, Mild to Wild Pepper & Herb Co. On a camping trip to New Mexico, he became entranced by the vast variety of dried chilies on display at a local flea market. 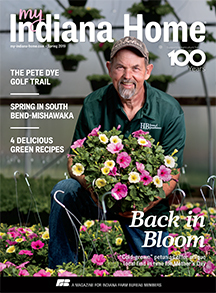 With fellow firefighters at the Pike Township Fire Department eagerly consuming his homegrown chilies, he realized the potential for a business to grow out of his beloved hobby. 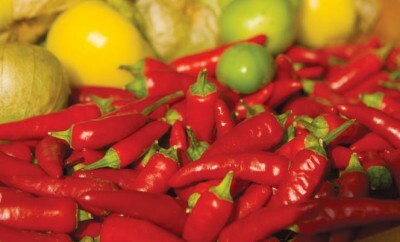 Campbell began planting more chili peppers and ordered a mixed case of hot sauces out of a catalog. He called the hot-sauce companies and offered his services as a chili grower. Some of his first customers grew to be the biggest names in the industry, including Dave’s Insanity Hot Sauce and Blair Lazar’s Death Sauce. In the decades that followed, Campbell says Mild to Wild steadily enjoyed double-digit growth. He gained the reputation of an international chili pepper expert and traveled overseas to advise on production. 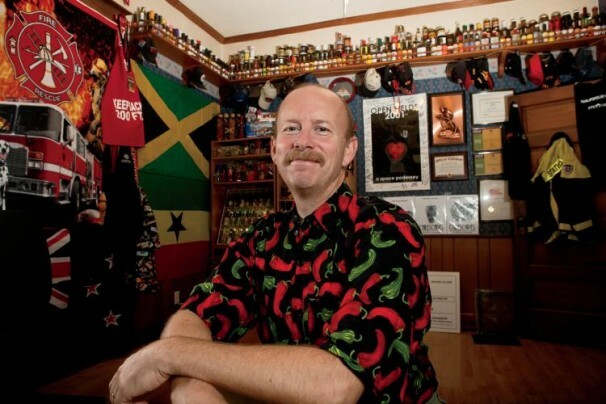 Tippman runs the Fort Wayne-based Great American Spice Company, and acquired Mild to Wild after he saw Campbell was shutting down his business after 20 years. Since the trade-off, Tippman has continued to run Mild to Wild just as Campbell did. Nothing business-wise has changed, he says. They have, however, grown Mild to Wild to include a whole line of peppers along with two new hot sauces using two of the hottest peppers in the world: the Ghost Pepper and the Scorpion Trinidad. 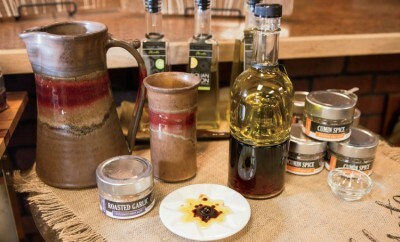 Those sauces have already risen in popularity, snagging awards at several shows. Although he has no official part in the company, Campbell says he is still proud and interested in the success of Mild to Wild. Along with being a chili expert, Tippman says Campbell is one of the nicest people you’ll ever meet, even helping his competitors. He showcases that kindness each fall during his annual chili pepper festival, Open Fields. The event raises money for Step Up for Charity, which in turn supports other lesser-known charities. The festival began as a way for consumers to pick their own chilies from Campbell’s commercial fields after the first Indiana frost. People were allowed to take as many peppers as they could for free. Since its early days, Open Fields has grown into a secret event for “chili-heads” in the know. The strictly non-commercial festival gives all of its proceeds to charity, so even famous manufacturers that attend must lay low. Although Campbell doesn’t sell his own peppers anymore, his fiery passion is still there. Those interested in attending or learning more about the Open Fields Festival can contact Campbell at jim@stepupforcharity.org. The subject field must say “Open Fields 2013” to be read. Check out Jim’s top chili pepper picks and for more information about, or to buy, Mild to Wild products, visit wildpepper.com. Are you having the feast this Fall in the “secret fields”? I met you several years ago at the Lloyd Library in Cincinnati. If you’re interested in attending or learning more about the Open Fields Festival, contact Jim Campbell directly at jim@stepupforcharity.org. The subject field must say “Open Fields 2013” to be read. Thanks! Thanks for your comment. For more information on Jim’s peppers, please contact him directly at jim@stepupforcharity.org. Hope this helps!